"... undeniably one of the great Brazilian composers ... shares equal rank with the Gershwins, Cole Porter and The Beatles." 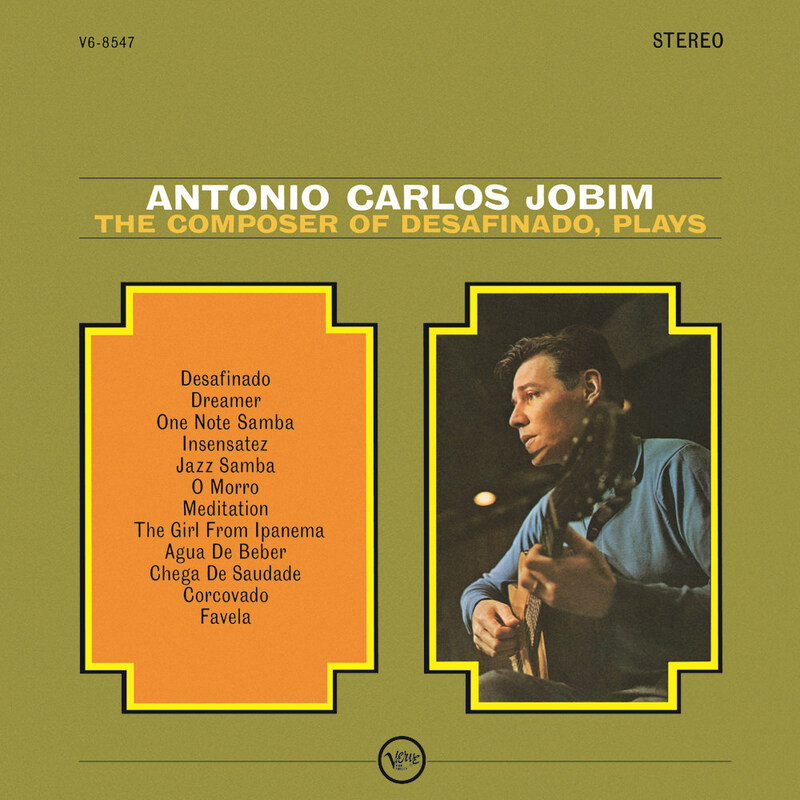 Brazilian composer and pianist Antonio Carlos Jobim wrote two of the biggest bossa nova hits ever recorded, Desafinado and The Girl From Ipanema. Most people, however, had no idea of his name or reputation as an architect of bossa nova, hence the cumbersome title of this debut. The album contains instrumental versions of Jobim's well-known classics including, of course, Desafinado, The Girl From Ipanema, One Note Samba, Chega de Saudade and others, performed by Jobim and a host of American jazz musicians. The arrangements are by Claus Ogerman, who would go on to work with Jobim for decades.